Author(s) Ng, Chee H.; Lin, Keh-Ming; Singh, Bruce S.; Chiu, Edmond Y. K.
No one reacts or responds to a drug in exactly the same way, just as no two persons are exactly alike. Individual and ethnic differences in drug response have been consistently found in clinical practice. This book covers all the important factors that explain how and why drug treatments used in psychiatry affect individuals and ethnic groups differently. It will increase understanding of how biological differences interact with social, cultural and environmental factors to bring about overall effects of medications, particularly in individuals from various ethnicities. 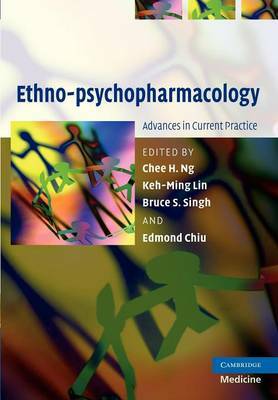 This book uniquely brings these varied aspects together to consider a holistic approach to drug therapy across diverse biological make-up and cultures. This information has direct practical use in the clinical setting.